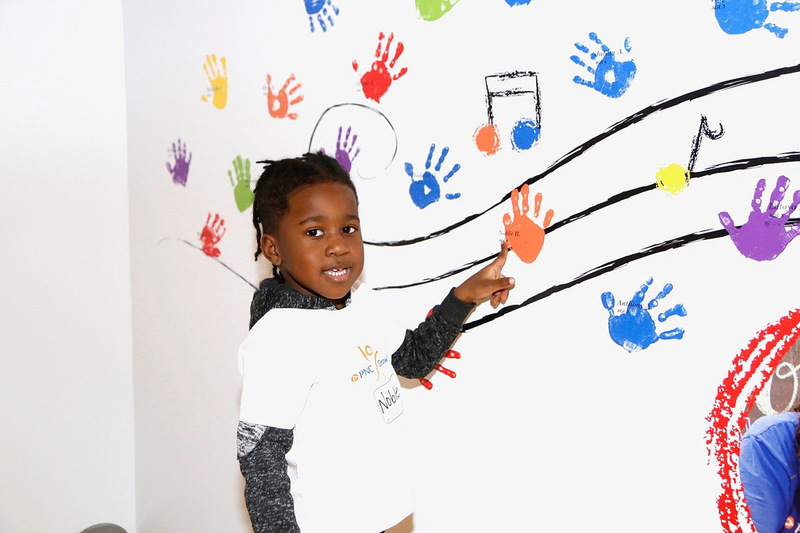 An audience of Pre-K kids were all smiles at the Kauffman Center last week as they each saw their own handprint in the new PNC Grow Up Great Gallery for the first time. 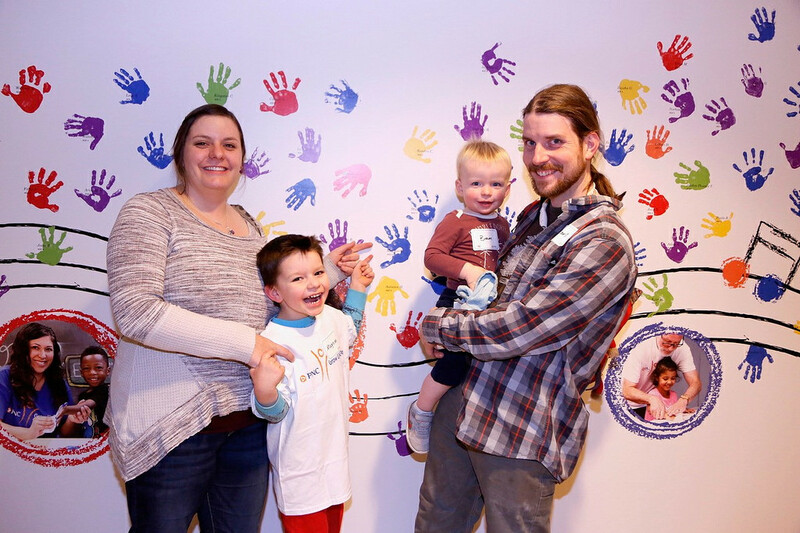 The new art installation in the Kauffman Center’s Plaza Lobby showcases hundreds of handprints created by local pre-school students at Growing Futures Early Education Center in Overland Park, Kan. and St. Mark Child & Family Development Center in Kansas City, Mo. 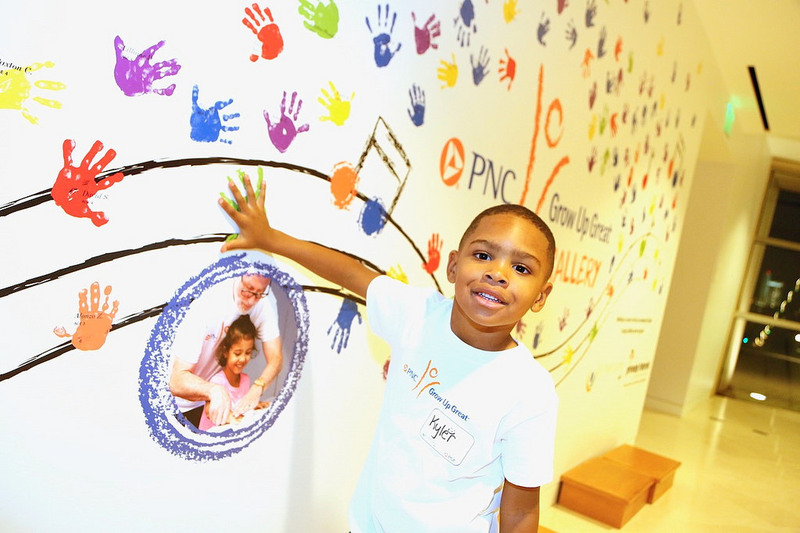 PNC Bank created the gallery in partnership with the Kauffman Center and the two early education centers, as part of an effort to inspire great futures for local children through memorable arts experiences. 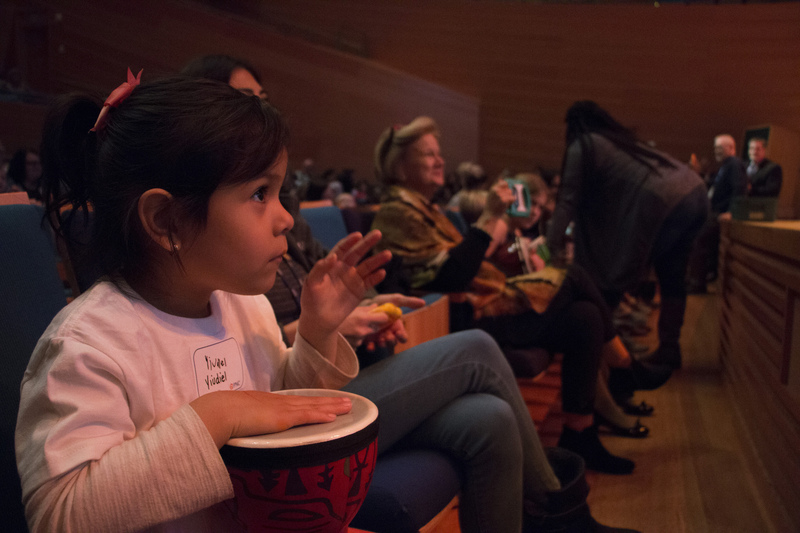 On November 19th, Pre-K children and their family members got an exclusive first look at the gallery during a special unveiling event that included dinner in Brandmeyer Great Hall. 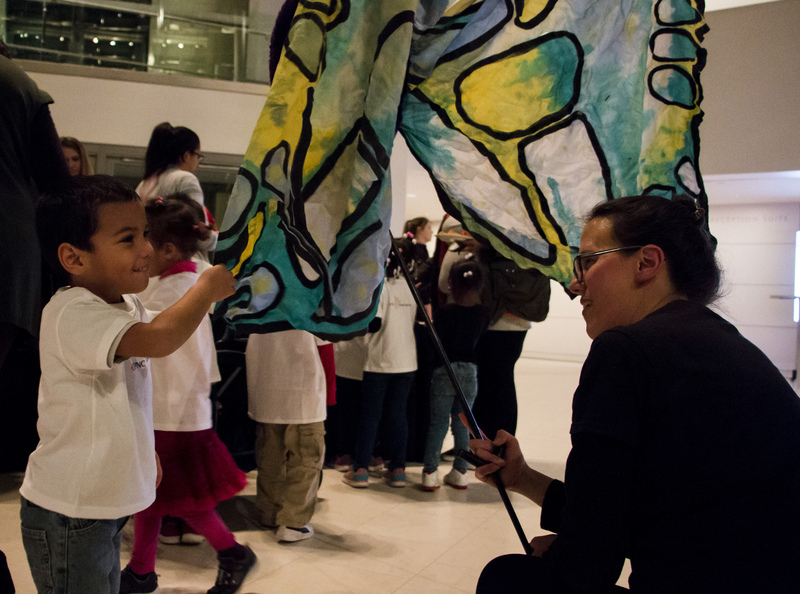 Local performing groups StoneLion Puppet Theatre and Drum Safari entertained the young artists with interactive performances. 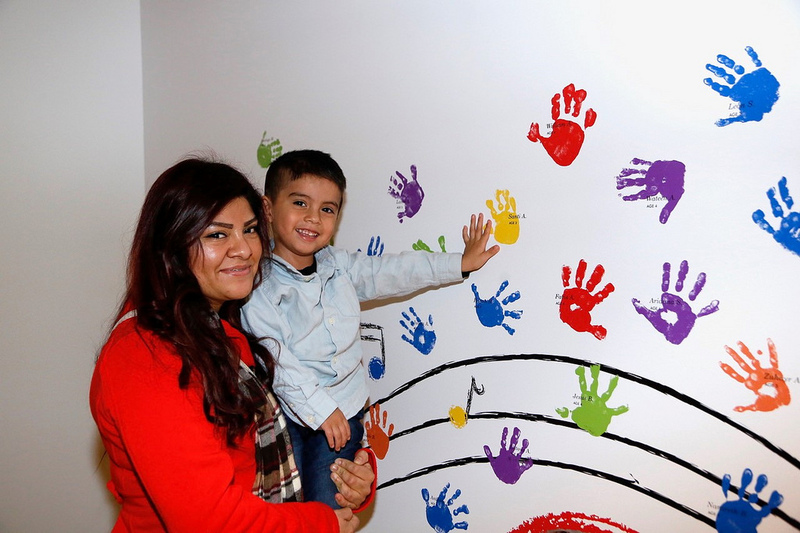 The kids proudly showcased their handprints in a gallery setting that combines visual art and musical themes. 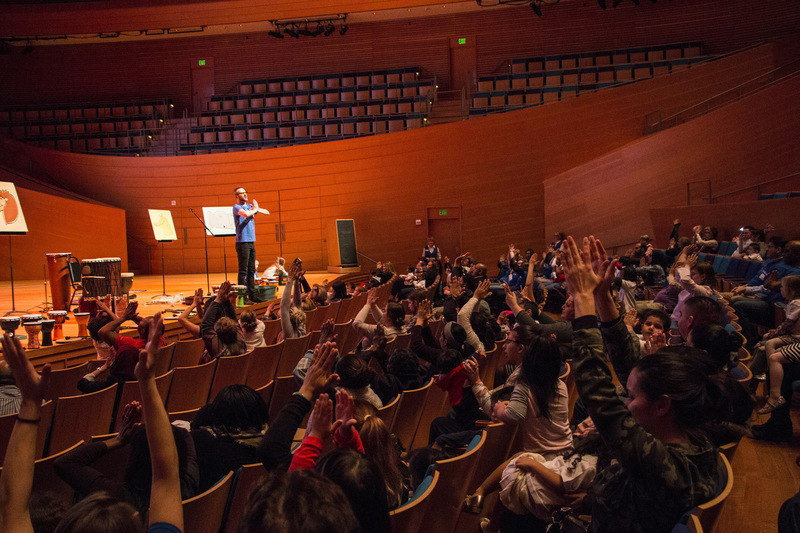 See a full photo gallery from the unveiling event at the Kauffman Center’s Flickr page. 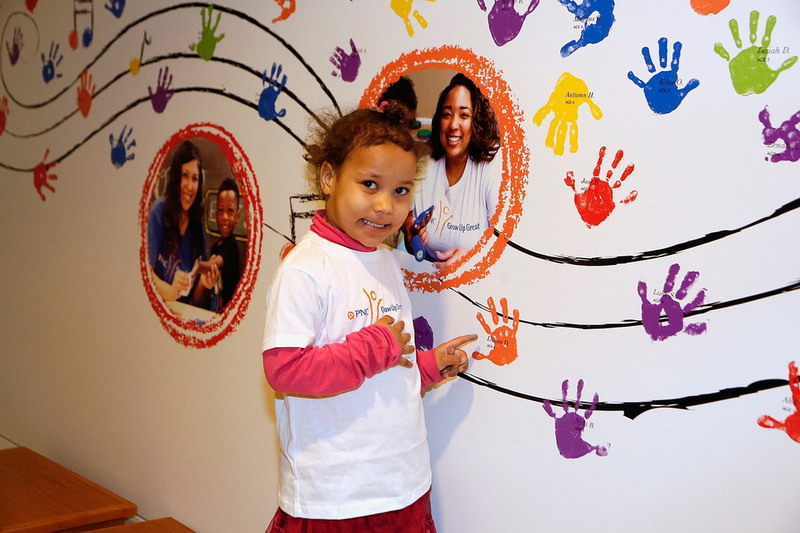 Miranda Smith’s 4-year-old daughter, Ariana, came to the Kauffman Center for the first time to see her handprint in the Grow Up Great Gallery. When asked what this meant to the family, Miranda said that her uncle, a veteran of the Korean War, is recognized at Liberty Memorial, and Miranda herself has a brick dedicated at Union Station. “Now Ariana has her handprint here at the Kauffman Center and they are all part of Kansas City and of art and culture,” she said. 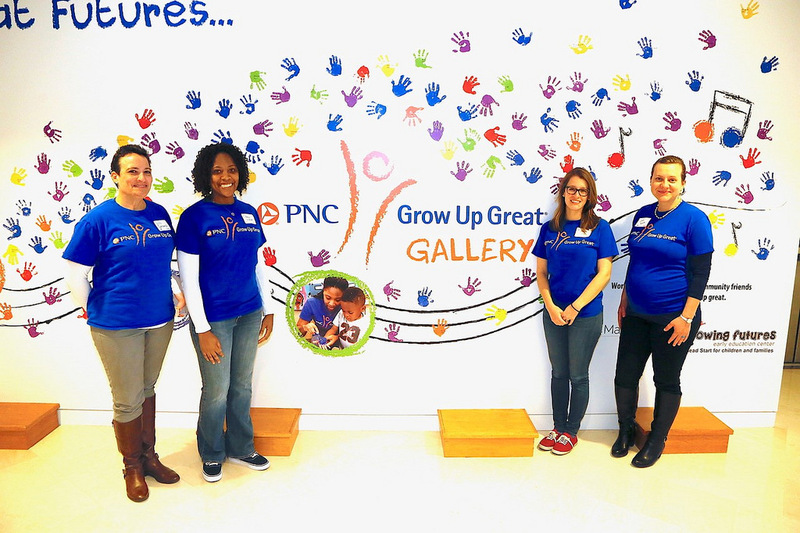 The gallery exemplifies PNC Bank’s signature initiative, PNC Grow Up Great, which supports early childhood education and school readiness for preschoolers in underserved communities. 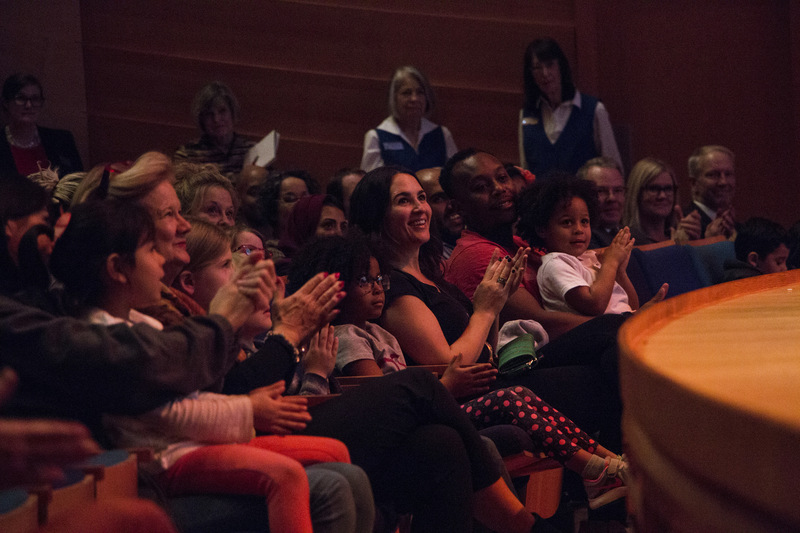 PNC Bank is the Kauffman Center’s exclusive bank sponsor, supporting the Kauffman Center’s Ensemble business membership program and the new art installation. PNC is also a key sponsor of the Kauffman Center’s programming series Kauffman Center Presents. 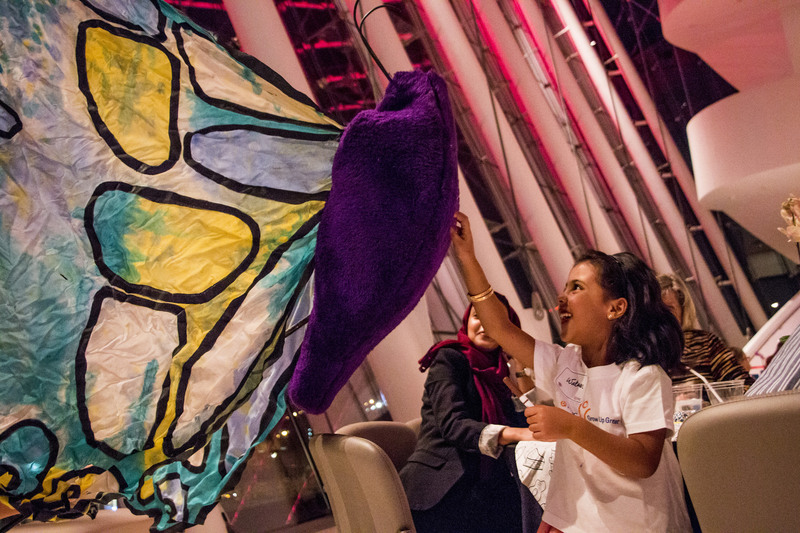 The PNC Grow Up Great Gallery is in the Level 2 Plaza Lobby of the Kauffman Center. The gallery is open for viewing for ticketholders 90 minutes prior to any performance. It’s open to the public during box office hours, 10 a.m. to 6 p.m. Monday through Friday.